I just leased my first BMW this past week. I worked with Justin Chu, who is the sales Manager there and he was awesome! 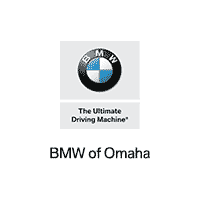 He was very knowledgeable about the BMW brand and was very patient with me & got me in to the perfect X3 with just the right amount of upgrades that I needed at a price I could afford. If you're looking for a kind, knowledgeable salesman, ask for Justin Chu! I'm a very satisfied client and will continue my business in the future with BMW 🙂 It truly is the Ultimate Driving Machine! I recently leased my first BMW. Todd was my salesman. Todd is very helpful and knowledgeable. He made the process really easy and simple. I would recommend Todd to my friends who are considering BMW. Overall, great experience!